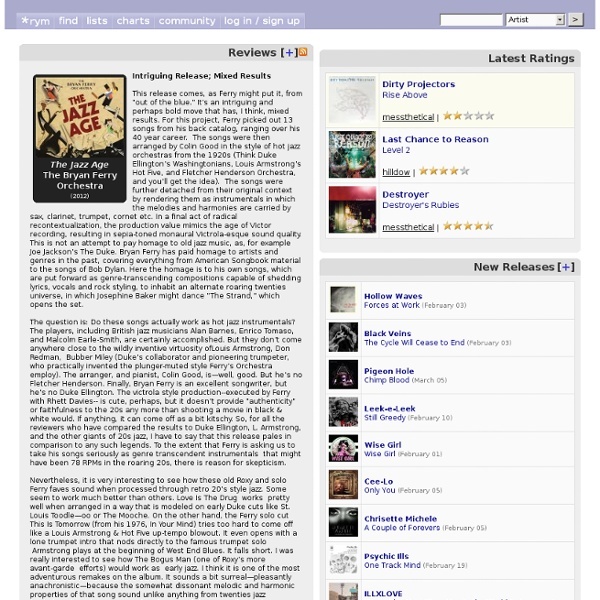 RateYourMusic (RYM) is a community-built music and film database where you can rate, review, catalog and discover new music and films as well as participate in contributing to the database itself. Anyone with a RYM account can help contribute to the database! This is not a store and the site doesn’t directly sell anything. However, they provide links to third party retailers and auction sites for the items in their database. In December 2011, there were approximately 370 000 user accounts on Rate Your Music.